Richard Lee "Rick" Sutcliffe (born June 21, 1956), nicknamed "The Red Baron" for his red hair and beard, is a former Major League Baseball starting pitcher and current broadcaster. A right-hander, Sutcliffe was a three-time All-Star. He won the National League Rookie of the Year award in 1979 and the National League Cy Young Award in 1984. Sutcliffe's first full season in the majors was 1979. He won 17 games for the Los Angeles Dodgers and was the first of four consecutive Rookies of the Year for the Dodgers from 1979–1982 (Steve Howe, Fernando Valenzuela, and Steve Sax were the others). The Dodgers traded Sutcliffe to the Cleveland Indians for Jorge Orta, a journeyman outfielder. Sutcliffe won 31 games over the course of the next two seasons for Cleveland and led the American League in earned run average in 1982. In mid-1984, Cleveland traded a struggling Sutcliffe to the Chicago Cubs for Mel Hall and Joe Carter. Sutcliffe rebounded and won 16 games for the Cubs while losing only one, helping them to the division championship. On October 2, 1984, he started the first game of the NLCS against the San Diego Padres, giving up two hits and no runs, not only gaining the victory, but also hitting a home run in the third inning. Five days later, Sutcliffe pitched the final game of the series at Jack Murphy Stadium, but posted the loss after giving up four runs in the seventh inning. Rick won the Cy Young Award with a unanimous vote, beating out Dwight Gooden and Bruce Sutter. He also finished fourth in the league MVP voting. When he re-signed with the Cubs as a free agent the following year, his contract briefly made him the highest-paid pitcher in baseball. Sutcliffe started the 1985 season strong, going 5-3 in his first eight starts, including two complete game shutouts. A hamstring pull on May 19, limited his starts for the year, followed by a series of arm injuries limited Sutcliffe's effectiveness over the next two seasons. In 1987, he bounced back to win 18 games and finished second in the league's Cy Young voting to Steve Bedrosian despite playing for a last-place Cubs team which also featured National League Most Valuable Player Andre Dawson. He also was presented 1987's Roberto Clemente Award, given annually to a Major League player who demonstrates sportsmanship and community involvement. On July 29, 1988 in Philadelphia, Rick achieved one of baseball's rarest feats, especially for a pitcher by stealing home plate during an 8-3 win over the Phillies, in which he also notched the victory. In 1989, Sutcliffe won 16 games and made his final All-Star appearance, where he was managed once again by Tommy Lasorda. He also helped the Cubs to another division title, but the Cubs lost to the San Francisco Giants in the playoffs. Recurring arm injuries caused Sutcliffe to miss most of the 1990 and 1991 seasons and the Cubs did not offer him a contract for the next season. Signing with the Baltimore Orioles, Sutcliffe went 16–15 and 10–10 in 1992 and 1993, starting the first game at Oriole Park at Camden Yards. He wound up his career with the St. Louis Cardinals in 1994, going 6-4 in an injury-plagued season. He retired with a career record of 171–139, with an ERA of 4.08. He holds the unique distinction of having won each of the following league awards, once each, and each in a different season: Rookie of the Year (1979), Cy Young Award (1984), ERA leader (1982), and wins leader (1987). 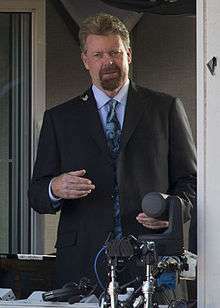 After his retirement from baseball, Sutcliffe became a color commentator for the San Diego Padres on Channel 4 San Diego (1997–2004), ESPN (1998–present) and DirecTV/MLB International (1997–2002 and since 2010, as well as a minor-league pitching coach in the San Diego Padres system for a couple of seasons. He also broadcasts the World Series and either the ALCS or NLCS for MLB International, where he is teamed with Gary Thorne. In previous years he has also appeared with Dave O'Brien. On March 13, 2008, Sutcliffe was diagnosed with "curable and maintainable" colon cancer. He underwent chemotherapy and radiation treatments in his hometown of Kansas City during the spring of 2008 and returned to work with ESPN on May 21, 2008. He continues to maintain a positive attitude and credits this to his faith in Jesus, strong family encouragement, incredible friends and immense support all over the world. As a result of his trials, he has shown great interest in motivational speaking about overcoming trials through your faith for groups such as Fellowship of Christian Athletes. 1 2 "Biography Rick Sutcliffe". The Baseball Page. Retrieved October 7, 2015. ↑ "Dodgers Steve Sax named top rookie". Times-News (Hendersonville, North Carolina). November 23, 1982. ↑ Chris Jaffe (December 9, 2011). "30th anniversary: Dodgers trade Sutcliffe away". The Hardball Times. ↑ Chicago Cubs 13, San Diego Padres 0, Retrosheet.org, Retrieved on June 6, 2007. ↑ San Diego Padres 6, Chicago Cubs 3, Retrosheet.com ,Retrieved on June 6, 2007. ↑ 1984 National League Cy Young, baseball-reference.com, Referenced on June 6, 2007.